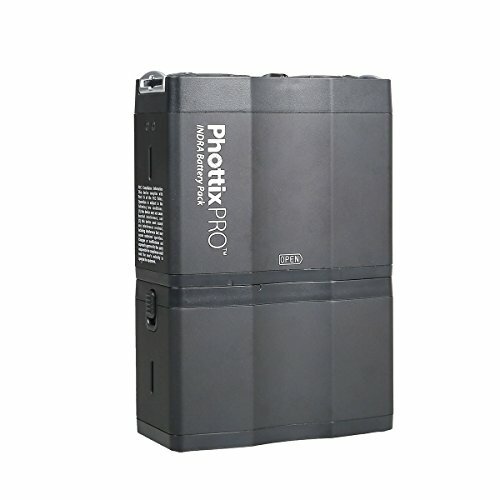 Replacement Phottix Indra 5000 mAh Li-ion Cells for the Phottix Indra Battery Pack. Keep extra charged cells on hand and never worry about not having power. Committed to cutting-edge innovation and excellence in photographic accessories. The Phottix track record speaks for itself. Holder of 40 patents, Phottix achieved acclaim for its award-winning Phottix Odin TTL Flash Trigger - the first trigger to feature full TTL and Manual Power and flash zoom control. The revolutionary Phottix Mitros+ TTL Transceiver Flash built a radio TTL flash trigger and receiver into a hot shoe flash. In the last five years Phottix has become a dominant force in the photography industry. Phottix's electronic accessories run the gamut: From the innovative Phottix Mitros series of TTL Flashes, the Phottix Odin, Strato and Ares series of Flash Triggers, the Hector 7HD LCD remote, shutter releases, to lighting and studio solutions. All Phottix products are developed with feedback from professional photographer - to assist in overcoming the challenges they face. Phottix’s 2014-2016 product line-up takes photography solutions to the next level with yet unseen technology, compatibility and durability. If you have any questions about this product by Phottix, contact us by completing and submitting the form below. If you are looking for a specif part number, please include it with your message.